New challenge for lovers of small engine! 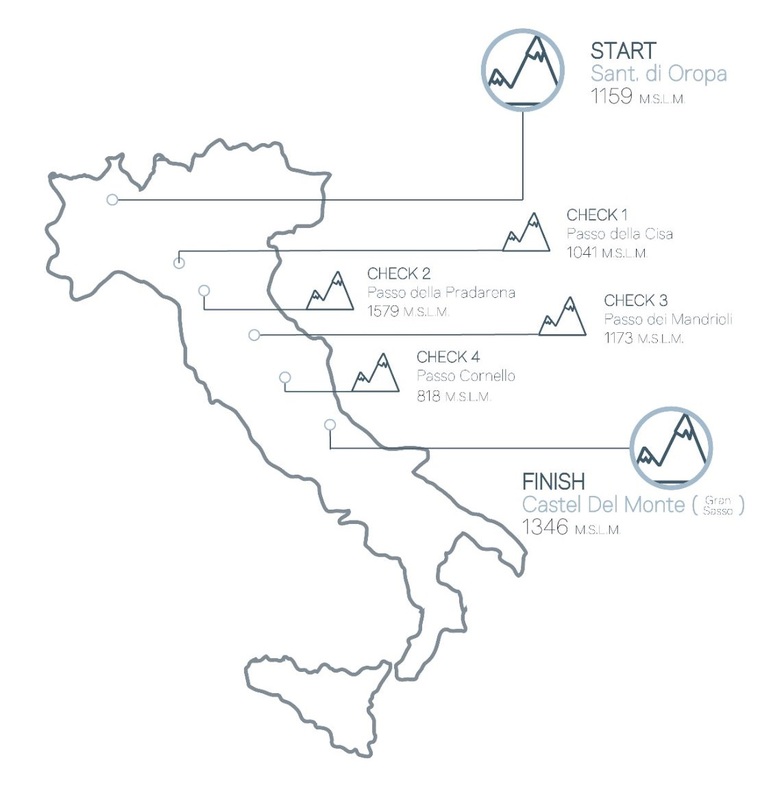 The crazyitalianrally WINTER is a non-competitive race that starts from Oropa (BI) and finish in Castel del Monte (AQ). This rally includes 4 checkpoints along the way; they are not obligatory, but are crucial to having the recognition of “skyriders”. The itinerary begins at the food of the Alps and goes on along the Apennine ridge to end on the slopes of Gran Sasso. All travel must be completed in just 3 days; the finish line will open on the following Sunday after the departure (Friday morning) and will close at the end of the same day. the protagonist of this rally is the mountain. 80% of the route are mountain highway with very low temperatures. Checkpoints are mountain passes kept clean even in winter. The choice of which road to follow is totally up to the participants who will only have to respect the starting and arrival sites. Checkpoints are optional: in the case of adverse weather conditions, technical unpredictability, physical tiredness or any other motivation you can skip the passes. Like as the itinerary, each participant can decide how to face the challenge. Can do it in solitary, in small groups or decide to join a large group. We recommend large groups! Facebook and Whatsapp groups will be made available to facilitate knowledge. This rally is a big challenge. Time is short, the winter season will make the terrain insidious and the itinerary is very hard for the 50cc. The event takes place in the coldest part of the year and the roads could be covered with ice and snow. It is advisable to carefully evaluate the choice of the route before departure with particular attention to weather forecasts and their psycho-physical capabilities. It is also advisable to start with proper clothing and tested vehicle. Reported checkpoints have only one indicative title, the pilots will therefore decide in full autonomy the road.